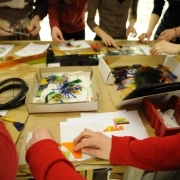 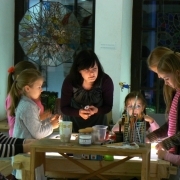 „Vitražo Manufaktūra“ organizes stained glass lessons and workshops for both children and adults, individual visitors and groups. 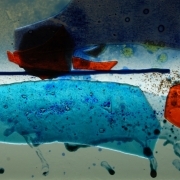 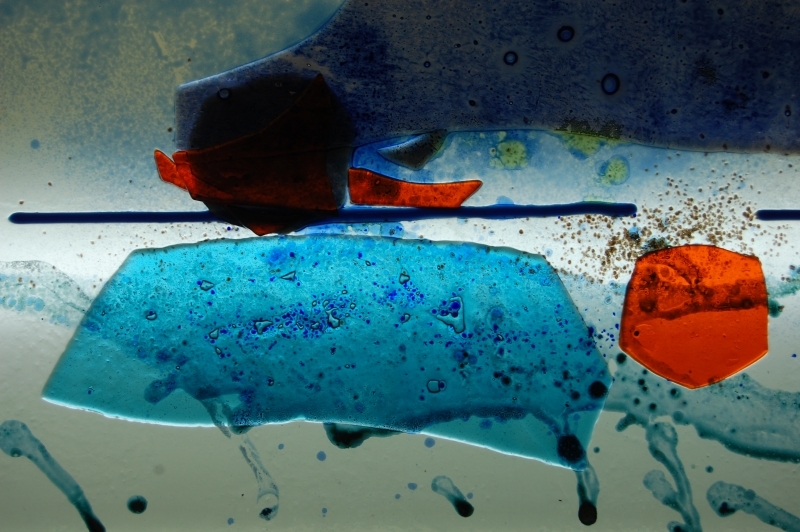 Fusing or fused glass technique is a perfect introduction for beginners to the art of stained glass. 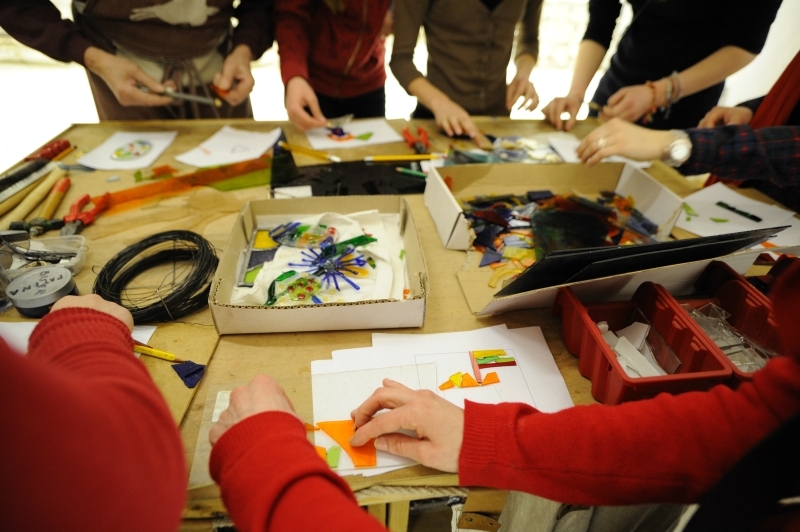 It is easy to work with and offers almost unlimited means for the artists to express their ideas. 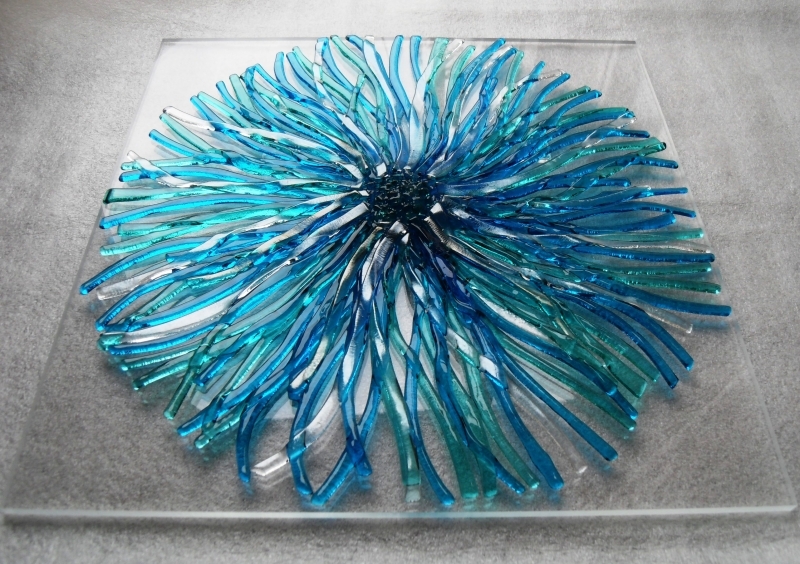 For this reason fusing is very popular between glass professionals as well. 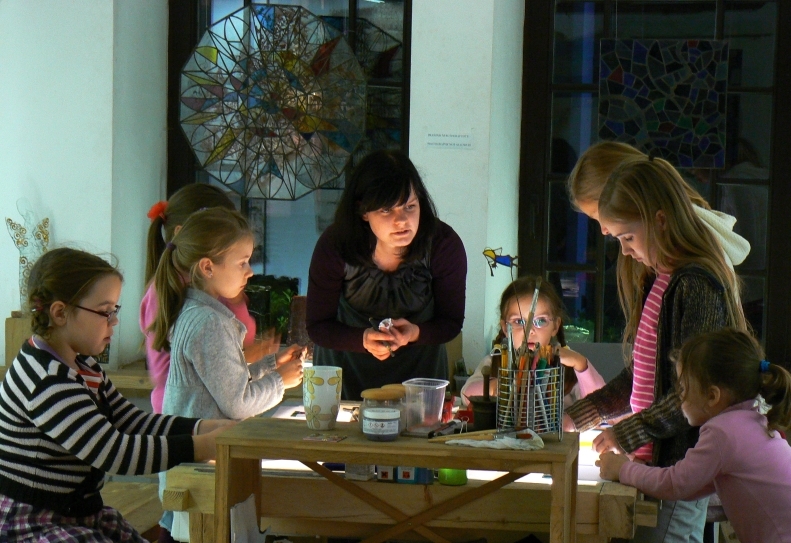 During the lesson you will learn about the origins of glass and stained glass art. 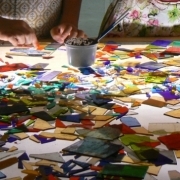 You will be introduced to the main techniques, used in stained glass making, learn how to use glass cutting tools, special paints, glazes and other kind of special materials. 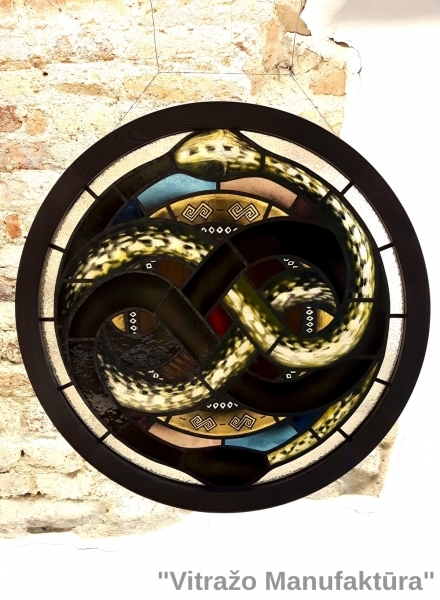 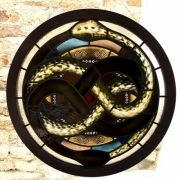 With the help of a professional, you will make your own unique piece of stained glass. 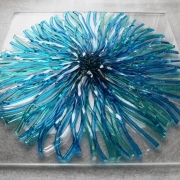 It will be placed in a high temperature furnace and returned back to you in the span of few days/weeks.